As someone whose passion for cinema lies primarily with foreign language movies, it has been slightly discomforting to watch U.S. indies and documentaries carve out an increasingly larger slice of the total SFFILM Festival pie. 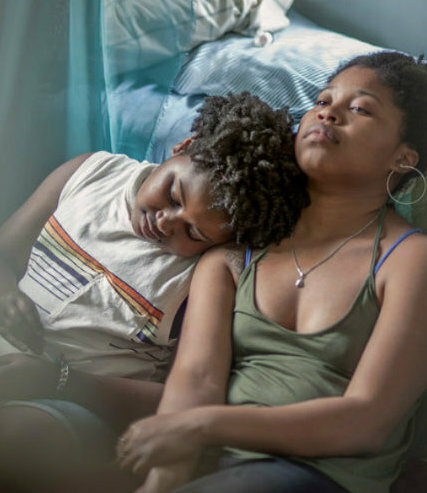 To witness, all three of this year's Big Nights are U.S. indies that premiered at Sundance, and 38 of festival's 99 feature films hail from that same festival. When one looks closely at the U.S. films selected, however, it becomes impossible to grouse when there are more terrific-sounding films than a person could possibly watch over the course of a two-week festival. Here's a subjective survey of the U.S. narrative and documentary features I'm intrigued by at this year's SFFILM Fest. 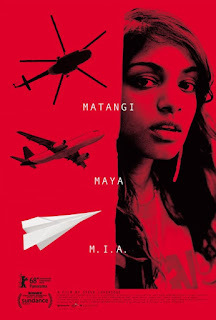 The only U.S. narrative feature I had the opportunity to preview is a film I can't imagine not being on my 2018 top ten list. 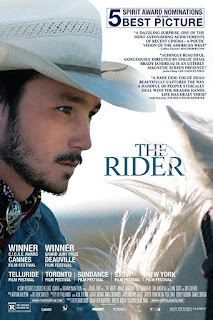 Chloé Zhao's The Rider premiered at Cannes last year, winning the top prize in the Director's Fortnight sidebar. It's about as close to a documentary as a narrative film can get, with non-professional actors playing slightly fictionalized versions of themselves. 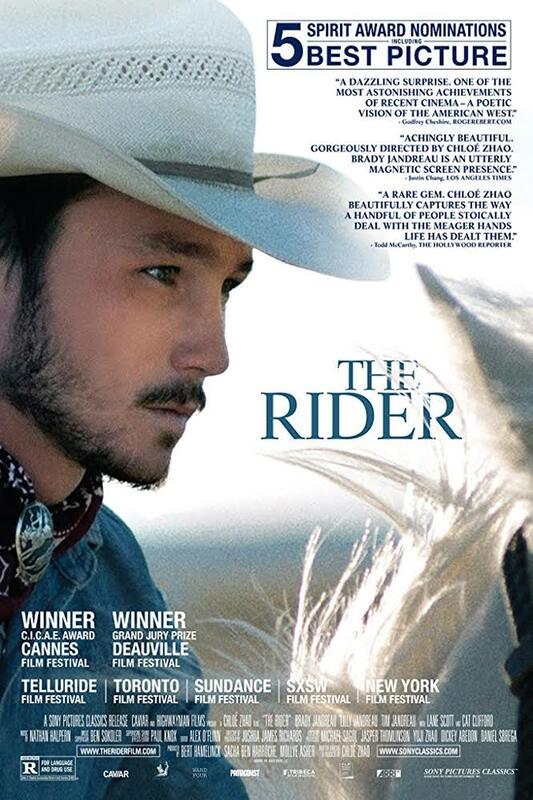 The Rider's aching heart is the character Brady (Brady Jandreau), a young Lakota rodeo rider and horse trainer who has sustained a massive head injury. The film transports us alongside Brady's personal journey as he struggles to find another way to live while remaining true to himself. It's a transcendent tale of wounded masculinity, guided by Zhao's sure-handed direction and Jandreau's revelatory, intuitive lead performance. The Rider opens in theaters on April 20, but believe me, you won't want to miss SFFILM Festival's April 7 screening with director Zhao and Brady Jandreau in person. In contrast, Mitchell's film (technically a USA/UK co-production) premiered to some seriously scathing reviews when it played out-of-competition at Cannes nearly a year ago. The film has its defenders, however (and the trailer does look pretty fabulous, particularly Sandy Powell's costume designs.) 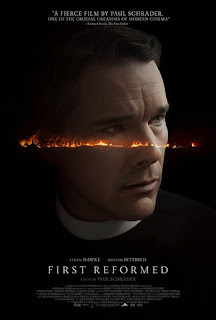 What's kind of shocking is that despite Mitchell's reputation (Hedwig and the Angry Inch, Shortbus) and the presence of Nicole Kidman and Elle Fanning in the cast, no film festival north of the Rio Grande has wanted to touch it. 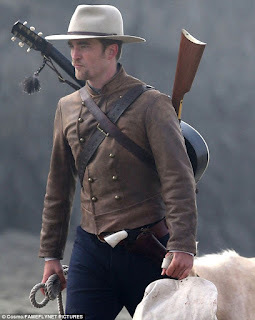 (San Francisco will be its "North American" premiere and it appears distributor A24 has no immediate plans for theatrical release). 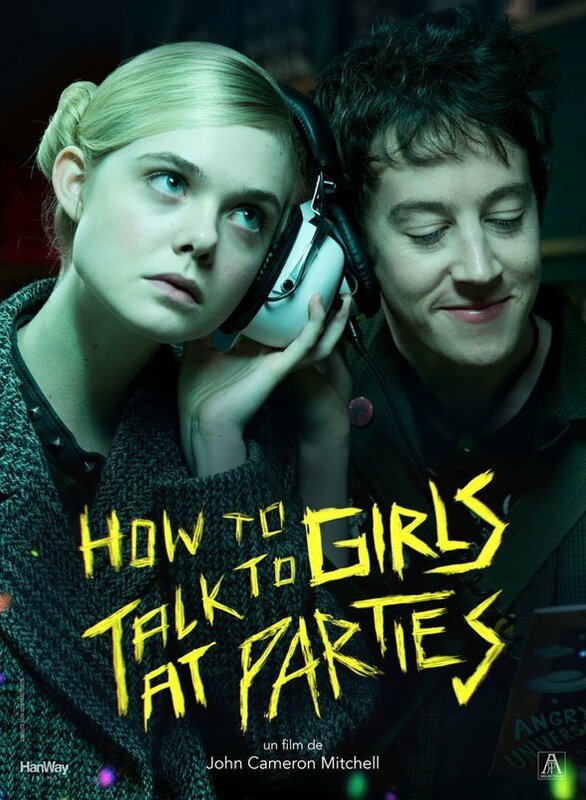 Based on an award-winning 2006 sci-fi short story by Neil Gaiman (who will also attend the screening), How to Talk to Girls at Parties stars Tony Award winner Alex Sharp as a 70's London punk who goes to a party and hooks up with a lady space alien. In the end, my evening's film selection could be determined by venue, with Mitchell's movie getting a boost by virtue of its screening at the Castro. For many years, new LGBT cinema was pretty much the provenance of San Francisco's Frameline festival. More recently, SFFILM Fest has upped its LGBT roster, possibly because there's so much more product available. (Frameline has also begun programming many of the same films that appear at SFFILM, realizing the two festival's audiences don't necessarily cross over). The LGBT section at this year's fest contains a record nine films, with all but two being of U.S. origin. 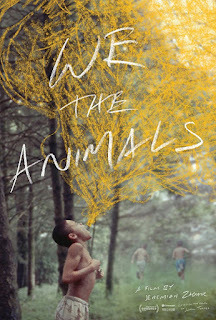 The one I'm most looking forward to is Jeremiah Zagar's We the Animals, a familial drama about three mixed-race brothers whose laconic existence in upstate New York is tempered by their parents' volatile relationship. 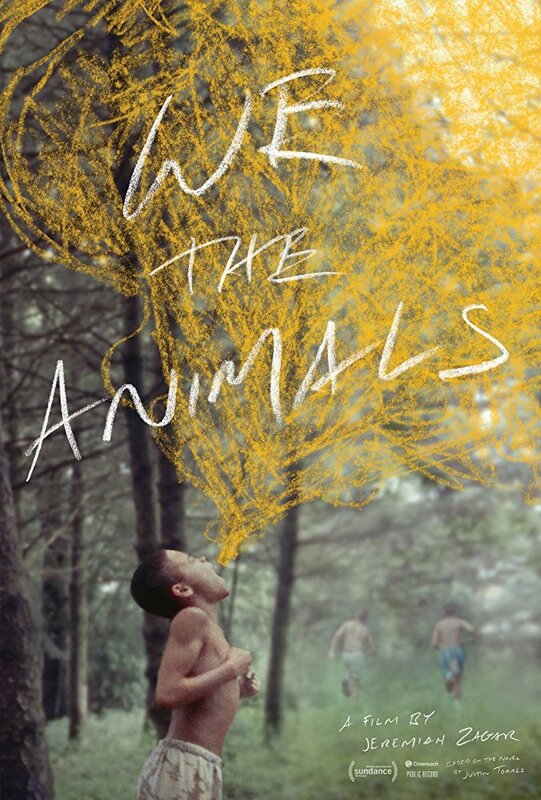 The focus is on the youngest of the three who's realizing he's somehow "different" from his siblings, which has led some critics to proclaim We the Animals as "this year's Moonlight." A major reason I'm excited to see this film is the casting of Raúl Castillo as the father. The Mexican-American actor first caught my attention in Aaron Katz' idiosyncratic indie mystery Cold Weather, several years before he achieved minor fame playing the character Richie in HBO's Looking. I'm also intrigued by the casting of Sheila Vand as the mother (she was the Iranian vampire girl in A Girl Walks Home at Night Alone), as well as this being the narrative feature debut for documentary filmmaker Jeremiah Zagar. In a Dream, the director's excellent 2008 doc about his father, Philadelphia artist Isaiah Zagar, won the audience award at SF DocFest and was shortlisted for the Oscar. Three formidable entities of American indie filmmaking have new films in this year's festival. Ten years after Debra Granik's Winter's Bone scored four Oscar nominations for Best Picture, Actress, Supporting Actor and Adapted Screenplay, the writer/director has finally made a follow-up feature. Leave No Trace stars Ben Foster and Dale Dickey as a father and daughter forced to move on after their idyllic years of living off the grid in an Oregon state park come to an end. Zellner brothers David and Nathan made a big splash in 2014 with Kumiko, The Treasure Hunter. Now they're back with a post-modern Western, Damsel, starring Robert Pattinson (following-up on his astounding performance in last year's Safdie Brothers film, Good Time) and Mia Wasikowska. 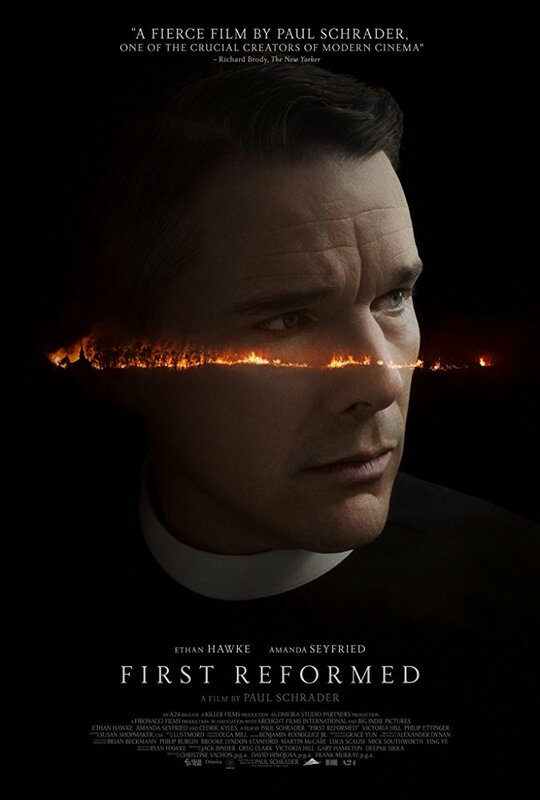 The film is a late addition to the SFFILM Festival line-up and the Zellners are expected to attend its only screening on April 14. Lastly, director Andrew Bujalski (Funny Ha Ha, Computer Chess) creates further distance from his mumblecore roots with Support the Girls, a comedy starring Regina Hall as the stressed-out manager of a Hooters-like sports bar. 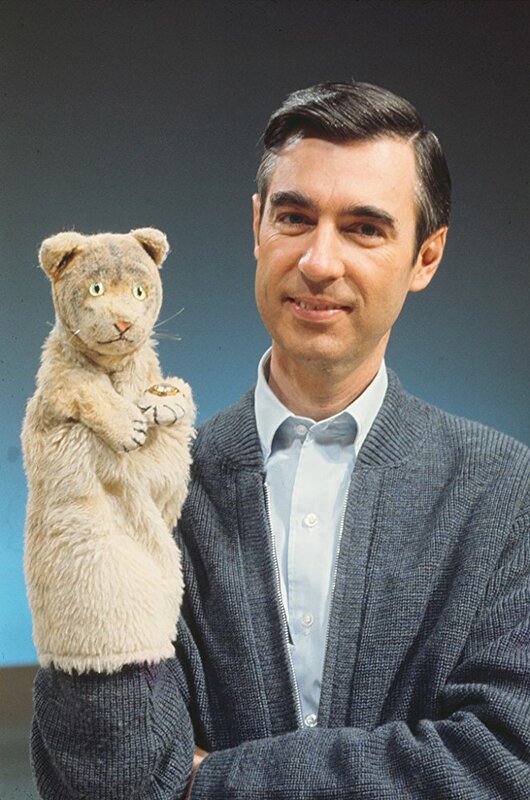 Two of the most beloved American media figures of all time are also subjects of SFFILM Fest documentaries. Robin Williams: Come Inside My Mind is the latest from director Marina Zenowich (Roman Polanski: Wanted and Desired). She uses obscure performance clips and never-before-seen outtakes to tell the story of the brilliant Bay Area actor and comedian. The film will have one screening only, at the Castro Theatre on April 7. Both festival screenings of Morgan Neville's Sundance hit Won't You Be My Neighbor, his portrait of TV's Mr. Rogers, are already at RUSH. The Oscar-winning filmmaker (Twenty Feet from Stardom) is expected to be in attendance. The cinematic arts are represented at the festival by two non-fiction features. 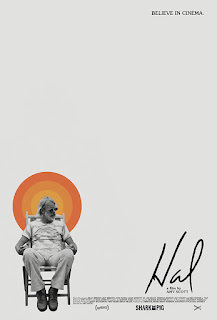 Amy Scott's Hal is a profile of revered director Hal Ashby, the Oscar-winning film editor (In the Heat of the Night) best known for directing a string of socially conscious 1970's masterpieces that include Harold and Maude, Shampoo, Being There, Coming Home and The Last Detail. Scott's film boasts interviews with such Ashby alumni as Jeff Bridges, Jane Fonda, Lee Grant and Jon Voight. Then in Half the Picture, director Amy Adrion takes on Hollywood's dismal record of advocating for women filmmakers, featuring interviews with Ava DuVernay (Selma), Penelope Spheeris (Wayne's World), Kimberly Peirce (Boys Don’t Cry) and others. Following the April 9 screening, the fest presents a conversation between director Adrion and Esther Pearl, Executive Director of Camp Reel Stories – A Media Camp for Girls. Documentaries about photographers have been a popular subject for filmmakers and audiences alike in the past decade, with shutterbugs Robert Frank, Bill Cunningham, Vivian Meier, Annie Leibovitz, Sebastião Salgado and others receiving motion picture tributes. Now we can add Garry Winogrand and James Balog to the list. Garry Winogrand: All Things Are Photographable examines the life and career of the controversial "snapshot aesthetic" street photographer who took over one million photos before his untimely 1984 death at age 56. Winogrand left behind thousands of rolls of undeveloped film, 8mm home movies and audio recordings, all of which director Sasha Waters Freyer employs to tell his story. 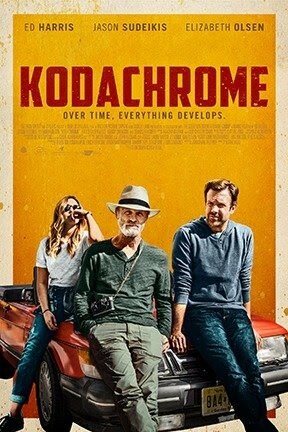 Following the film's SFMOMA screening on April 14, Freyer will be joined in conversation by author Geoff Dyer, whose new book on the photographer was released last month. 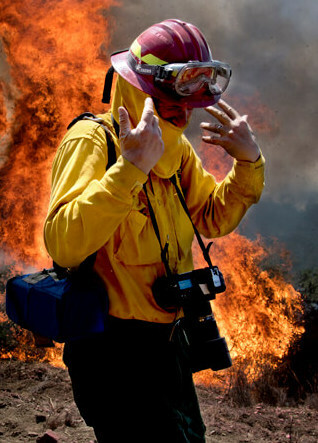 The second doc about a famed photographer is Matthew Testa's The Human Element, which profiles James Balog. The environmental photographer is best known for visually documenting the devastating effects of man-made climate change, particularly the rapid disappearance of the world's glaciers (his work was featured in the 2012 film Chasing Ice.) Balog and director Testa are expected to attend the festival. It has been 15 years since Nathaniel Kahn received an Oscar nomination for My Architect, the filmmaker's bittersweet ode to his famous architect father, Louis Kahn. Following several made-for-TV science documentaries, Kahn finally returns with a new feature this year, The Price of Everything. Using a Sotheby's modern art auction as backdrop, Kahn examines the commodification of art and reflects on how artists lose control of their own creations in today's white-hot art market. 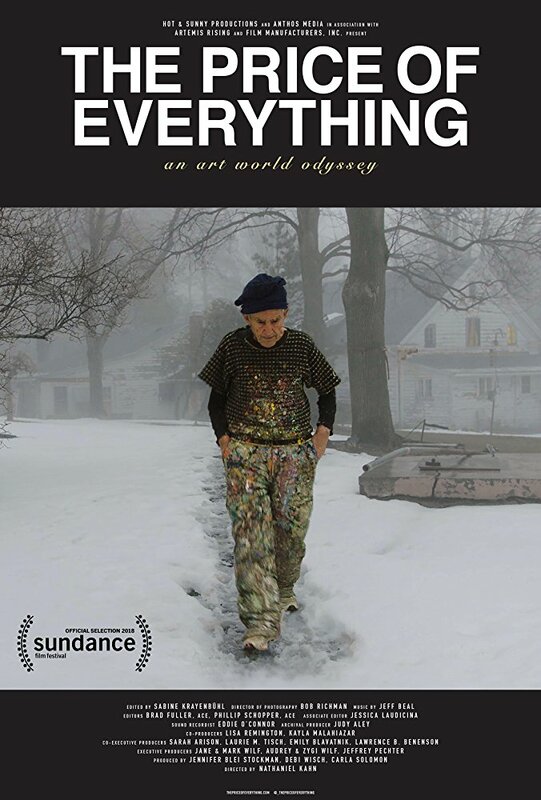 Among the artists profiled in the film are Jeff Koons, Gerhard Richter and Larry Poons. I'd be shocked if The Price of Everything doesn't mention last year's $110.5 million sale of a 1982 Basquiat work, which set a record for an American artist at auction. The graffiti artist turned painter happens to be the subject of another SFFILM Festival documentary, Sara Driver's Boom for Real: The Late Teenage Years of Jean-Michel Basquiat. 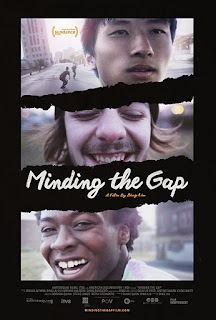 Amongst the score of non-arts related U.S. docs showing at the festival, I had the chance to preview and strongly recommend Bing Liu's Sundance Special Jury Prize winner, Minding the Gap. This empathetic and intimate look at young manhood in the economically depressed city of Rockford, IL is entirely composed of footage shot by the Asian-American director over the course of a decade. Liu's focus is on himself and two close friends, one Caucasian and one African American, who all share a passion for skateboarding as well as dark relationships with past father figures. Their collective self-awareness and articulate fervency is impressive considering the challenges of their environment. The festival's Hold Review policy limits me from saying more, but I guarantee this is a doc you won't want to miss. Liu is expected to attend the film's screenings on April 13 and 14. Three documentaries I highly anticipate watching during the festival proper are Bisbee '17, Three Identical Strangers and Hale County This Morning, This Evening. Bisbee '17 is the latest from Robert Greene (Actress, Kate Plays Christine) who once again employs his meta-docu-fiction storytelling techniques to reflect on a century-old Arizona strike in which 1,200 miners, most of them Mexican immigrants, were marched into the desert at gunpoint and left to die. Tim Wardle's Three Identical Strangers recounts the incredibly strange tale of male triplets who were separated at birth and then reunited at age 19 in 1980, briefly becoming media celebrities who hung out at Studio 54 and appeared in the film Desperately Seeking Susan. 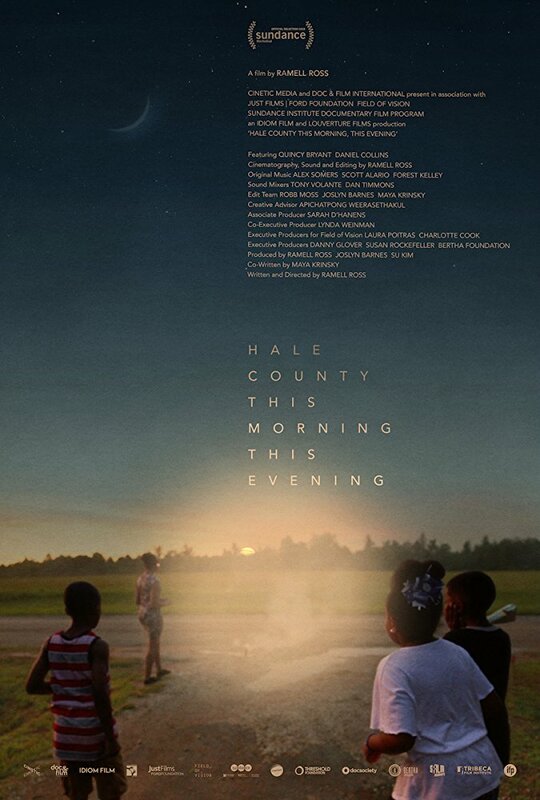 Lastly, RaMell Ross' Hale County This Morning, This Evening has been described as a lyric tone poem in documentary guise, which lovingly captures African American life in rural Alabama. Like the bulk of non-fiction films in the festival, all three of these acclaimed works had their world premiere at Sundance, with Three Identical Strangers winning a Special Jury Prize for Storytelling and Hale County This Morning, This Evening bringing home a Special Jury Prize for Creative Vision. The above-mentioned movies represent just an iceberg's tip of the 39 documentary features appearing in SFFILM Festival 2018, so let's glance at a few others of potential interest. Mercury 13 will have its world premiere here prior to hitting Netflix on April 20. David Singleton and Heather Walsh's film recalls the dashed dreams of a group of would-be women astronauts in the early 60's. (I can imagine the pitch meeting: "It's a white women's Hidden Figures!") Fans of Laura Greenfield's Queen of Versailles will no doubt want to catch her latest glimpse at the lives of the hideously rich, Generation Wealth. 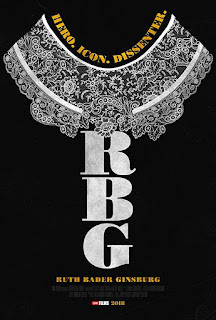 Although RBG, Julie Cohen and Betsy West's bio-doc on U.S. Supreme Court Justice Ruth Bader Ginsburg opens at Landmark's Embarcadero Cinema on May 4, I imagine it would be great fun seeing it at the Castro Theatre with the directors present on April 14 (this screening is now at RUSH). Two docs with an eye toward the future profile a budding young chef (Chef Flynn) and aspiring scientists (Inventing Tomorrow). 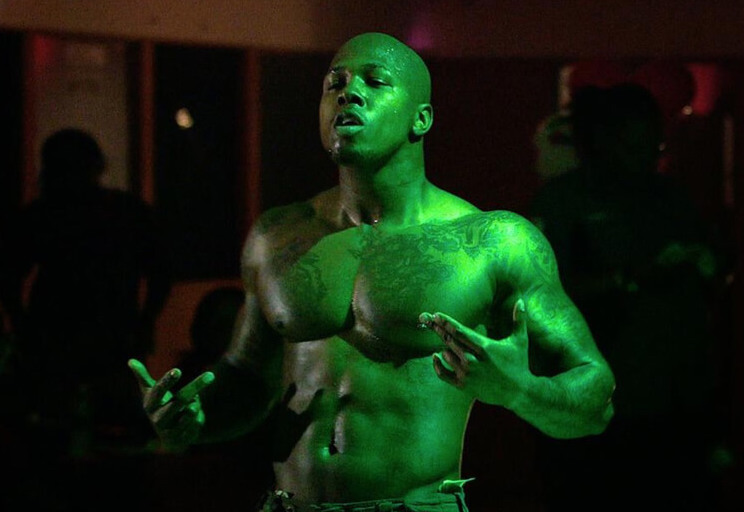 Last but not least, I really hope not to miss the festival's late-addition screening of This One's for the Ladies, Gene Graham's look at an African American male strip joint in Newark, NJ. (that doubles as a kids' karate school by day). As always, a great survey Michael!